A quick search of the internet can reveal the names and Social Security numbers, or SSNs, of deceased persons. When someone dies, that person's Social Security number typically becomes public record, which is why it is relatively simple to verify death using an SSN. Sites like familysearch.org and genealogybank.com link you directly to the Social Security Death Index at no charge. When you need to verify someone's death, take advantage of this free access instead of registering and subscribing to sites like ancestry.com. A Social Security number is a nine-digit personal identifier that we keep closely guarded to prevent us from becoming victims of fraud and identity theft. Short of simply asking someone for his SSN – which is definitely bad form and a potential violation of privacy – it is virtually impossible to obtain this number without a very good reason. Among the acceptable reasons for needing someone's Social Security number are determining employment eligibility, processing payroll or preparing tax returns. Once the person dies, however, the SSN becomes useless for those reasons. 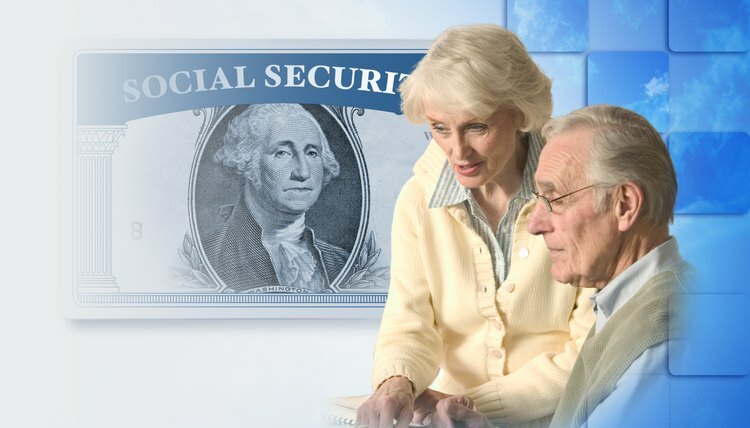 After death, the reasons for inquiring about a person's Social Security number include to verify death for insurance proceeds or Social Security benefits, or cross-referencing genealogy records for people of working age in 1936 or 1937, when the Social Security Administration started issuing numbers. The SSDI contains the names and Social Security numbers indexed from 1962 and is current through February 2014. You can search for anyone who died, including children, because most parents apply for their child's Social Security number when the hospital asks for birth certificate information. But if you need to verify the death of someone who died in the early 20th century, you won't be able to do that using a Social Security number. The Social Security Act wasn't signed until 1936, and the agency began assigning numbers soon thereafter. Even if you already have the decedent's Social Security number and name, it is also helpful to know when the person was born and where she might have lived around the time she received the Social Security number. When using familysearch.org, you're actually verifying the SSN using the person's name so an SSN alone is not enough. But on genealogybank.com, if you have the SSN and aren't sure about the proper name, that's the easier of the two, and it gives you more information about the decedent. Genealogybank.com has the most comprehensive records that you can search by an SSN, a name or other information. You'll need to sign up for the website and pay a subscription, so the service is not free. However, the site does offer a seven-day free trial service. This is helpful if you wish to carry out a one-time search as you can get all the information you need within the free trial period. Enter the person's SSN, omitting the dashes. The information you receive contains the full name, day of birth and birthdate, date of death and precise age at death, as well as whether the death has been confirmed. The search results also contain the birth state and county, GIS marker and ZIP code for the last residence. This is surely enough information to verify that you have the correct Social Security number and name. Although you get fewer details, the federal government also provides a system for searching records by Social Security number. The National Archives and Records Administration's online Numerical Identification Files, or NUMIDENT, are freely accessible, but NARA doesn't provide nearly the extensive details that other sources do. Mayhew, Ruth. "How to Verify a Death via a Social Security Number." , https://legalbeagle.com/5743576-verify-via-social-security-number.html. 15 March 2019. What Does it Mean When the Cause of Death Is Undetermined?